Last week, Brent Wiersma encountered a man about to be thrown out of a South Side fast-food restaurant who did not look like he belonged in the cold. He did not have a decent pair of pants on, nor did he have good socks. He appeared to have frostbite from his feet all the way up to both knees. Wiersma, who does not have a permanent home himself and volunteers at an emergency shelter hosted by Street Angels Milwaukee Outreach, called upon fellow volunteers to help the man reach a hospital. Meanwhile, there are two suspected cold weather-related deaths in Milwaukee County in the last month, according to the Milwaukee County Medical Examiner. Winter in Wisconsin is only just beginning and it has already been a rough time for the homeless. Low temperatures have fallen below 10 degrees every day since Christmas (11 days running) with no sign of respite until Jan. 7, when the low temperature is expected to be 24 degrees. The long stretch has also been hard on at least one organization that tries to help the homeless during these times. 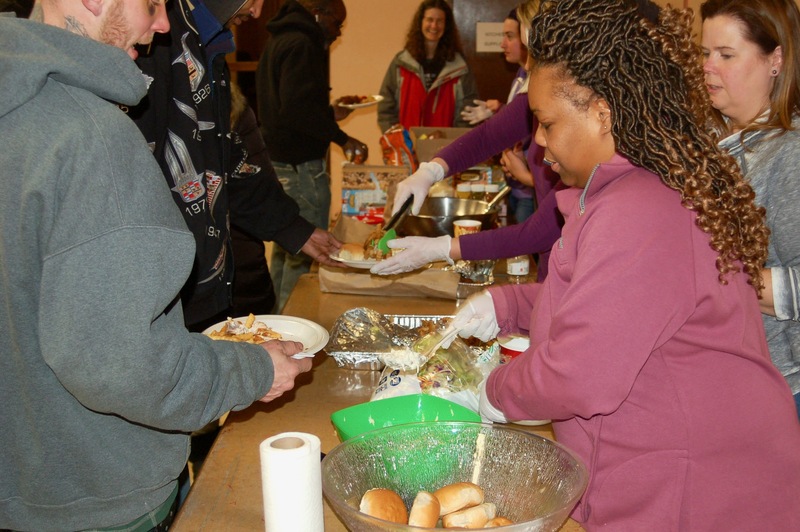 Street Angels, an all-volunteer group that spends three nights a week handing out resources to the homeless, hosts an emergency shelter at Ascension Lutheran Church, 1236 S. Layton Blvd., on frigid nights. Street Angels has been around for less than three years and has a volunteer roster of about 15 people. It’s never dealt with a long stretch of cold like this before, where its shelter has been expected to be open day after day, according to co-founder Eva Welch. “It’s been rough,” said Welch, who, in her day job, works as the operations manager for Just One More Ministry. “We had a huge Christmas party on Christmas Eve. We had 70 of our homeless friends there. We did all the transportation, all the food. So that was a long, long day. The next day, we went and delivered 200 children’s stockings to the shelters and within an hour after getting done we had to set up for the first shelter. Welch said her organization has a decent number of volunteers, but she expects more will be needed as the winter goes on. Street Angels’ emergency shelter runs from 7 p.m. to 7 a.m. on nights in which temperatures fall below 10 degrees. Volunteers who can be at the shelter from 11 p.m. to 3 a.m. and from 3 to 7 a.m. are hard to come by, she said. Street Angels ran an emergency shelter during the 2015-16 winter, Welch said. There was a stretch where the shelter was open three straight days, had one day off, and was then open for four more days. If forecasts prove true, the shelter will be open 13 consecutive days this time around, according to AccuWeather.com. Welch said the shelter does not turn down anyone. 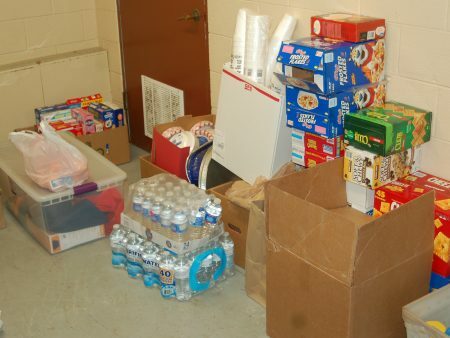 One volunteer is required for every 12 guests, she said, and on Thursday the shelter hosted 76 people. That’s up from 47 people on Christmas night, Wiersma said. Last July, the Milwaukee Continuum of Care estimated there were 922 homeless people in Milwaukee. Welch encouraged anyone interested in volunteering or donating items to visit Street Angels’ Facebook page or to contact her at eva@streetangelsmke.org.